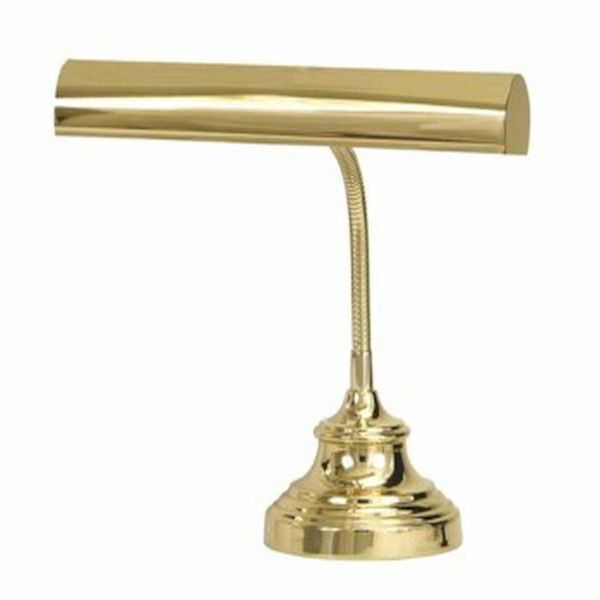 Polished Brass piano Lamp with adjustable Gooseneck for greater flexibility. The lamp came in record time. I was so surprised that I ordered it on Sunday night and had it Tuesday, with no shpiping charges. The lamp is working out great on the organ at church where I was in need of better light. Thank you.